Our Ceiling Drapery is priced individually based on the type of material used for draping, height of ceiling, draping style and amount of coverage desired. Combine ceiling draping with our pipe and drape backdrops and wall wraps and we can transform an ordinary venue into the extraordinary. 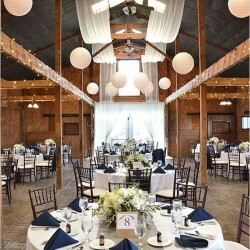 Contact us to discuss options available to transform your venue into the venue of your dreams. Price is per linear feet and includes delivery, setup and take down. 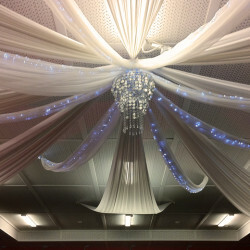 Minimum rental for ceiling draping is $250.